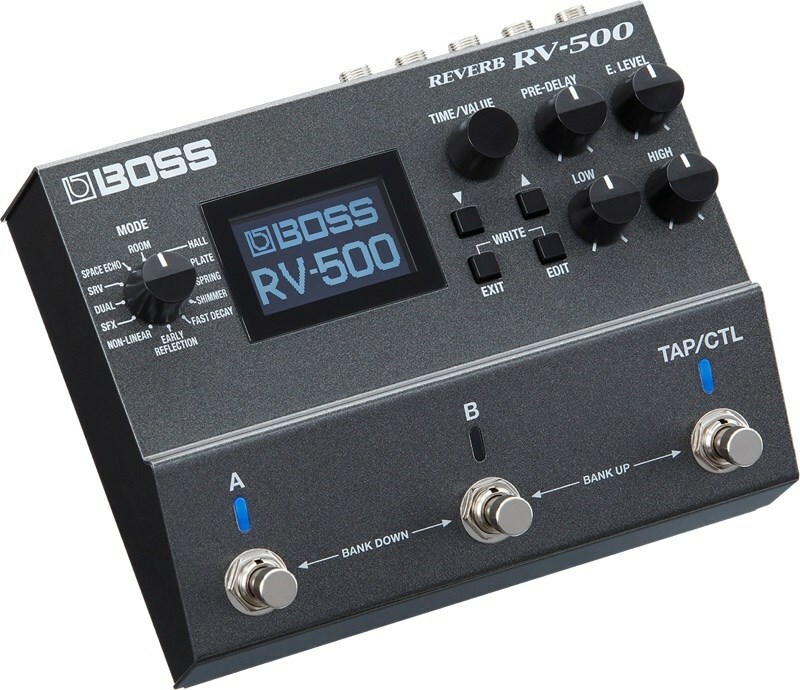 Boss' most powerful reverb effects pedal yet, the RV-500 serves up twelve reverb modes and 21 new reverb algorithms, leaving you with unlimited options. Unrivalled in terms of power with its 32-bit AD/DA coupled with 32-bit/96 kHz floating point processing. Onboard you will also find external footswitch/expression control, a USB connection and MIDI I/O connectivity.